This time last year (July 2012) many students toured the Mola Series exhibit at the Portoviejo (Manabi/Ecuador) Museum. The director of the museum said that a group of girls would be visiting the museum and asked if they could tour the exhibit. She said that the girls had ‘problemas.’ Some came from abusive homes, one was pregnant, and they all deserved some positive experiences. I suggested that we buy pencils and paper and give them a quick drawing class! What a well-behaved group of young ladies! We walked upstairs to the exhibit room. Many brought paper and sketched their favorite paintings! They were extremely respectful and attentive! After watching my warm-up exercises, they quickly began drawing ‘tornadoes’ and circles and experimented with shading. I explained that they could transfer inner turmoil or stress onto the paper and urged them to try! From a home for troubled girls, these students listened well and transferred their frustrations to the paper! Each student received a bookmark, and they all requested my autograph! Well mannered and attentive, they did a great job of using their drawings as a species of writing! Six samples of shading! Those darks speak volumes! What an incredibly thoughtful community service! Thank you. i wish i lived closer to those young gals. portoviejo is about four hours by bus, and i rarely go there. they were amazing young women! thanks, and yes, they certainly put their energy into those tornadoes! i just finished a session and am going to get to bed before midnight! yes, my body says! you give a lot of yourself as well, amiga.. igualmente, i am equally proud to know you! Art is often used as a form of therapy — with considerable success, I am told. Very nice! 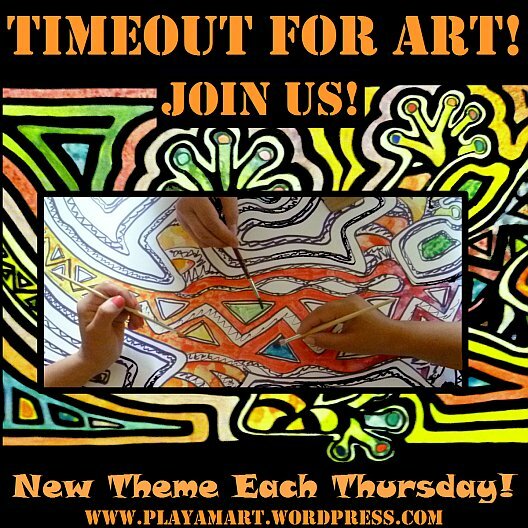 Lisa, as a former counselor, special education and elementary teacher, I often used art therapy with my students. When I was a social worker, I found art helpful to relieve stress encountered by abused and neglected children. Art, to me, is better than taking antidepressants any day. Instead of masking the feelings, art exposes them in their rawest forms. Your show was incredible! Keep up the good work mi amiga! you are so right! perhaps i’ll quote you in a future ‘timeout for art’ post!!!! What a beautiful way to share your talent and help others discover theirs! Sometimes, just giving a little bit of yourself makes all the difference. Thank you for helping improve your corner of the world. Wonderful to see your lovely works of art hanging on the gallery walls! You innately get the human spirit and what could have been a ho-hum day, turned out to be a time-stamped day these young girls will never forget. Life, the way it should be – way to go Lisa. You are the giver, that keeps on giving! thank you so much, mary! sometimes the day has many rewarding surprises waiting for us! wonder what’s in the stars for tomorrow?!! Great post. I wonder what these girls’ lives would have been like if they had been given this kind of creative outlet earlier? My submission for this week is an anchor for the magic carpet, if it needs one. i love your post, and yes, i’ll retrieve the anchor and the bread.. perhaps we can make weekly bread runs?!!! i wish i could as well. maybe we’ll have a flying carpet art flight in the future?!!!! What a fabulous experience for them and you. Your kind heart drew out the goodness in theirs. Brava! i wish i lived closer so that i could see those gals again. thanks, amiga! Everyone has an inner artist, the scary part is letting it out – Brava for giving these girls such a trusting and accepting environment in which to express themselves. you are right.. sometimes its fear of being laughed at by one’s peers or criticized by someone. trust is a very important part of a recipe to coax others into art! Exciting for all concerned, I’m sure. i enjoyed spending time with them! thanks! What a blessing for all of you! You never now what impact this encounter and the lessons learned will have on these girls. Way to go. you’re right; we never know what impact any encounter will have on others.. it’s pretty easy to sprinkle a little sunshine as we go through life! What a great exhibit to share with the girls and sending them home with an bookmark hopefully will encourage reading, writing or maybe becoming a great artist like you. your art posts have been fantastic!!!! i’m so glad that you’re doing so much creative work and sharing your gifts with your community! Great photos they look so happy. you are doing SO WELL, doris! the hummingbird is great, as is your poem – in two languages! for sure we’ll find a way to grant that autograph! i wonder if the flying carpet can deliver bookmarks to everyone?!!! Excellent therapy ..For them it’s so hard to tell there story with words and a drawing can tell more than a thousand words. yes; thankfully ecuador encourages the arts/artists, so the young women will find approval if they pursue their drawing and painting. thanks so much for your feedback! Oh my gosh Z, I truly loved that story. I can just feel how much the girls must have loved you and what a great day it was for them. You continue to amaze me! life here presents opportunities most every day. i’m very blessed to have reached this point in life!!! thanks, amiga! thanks; they were so respectful as well! thank you amiga! how great that you brought penny and me to the table with you and charla! shall we play bridge while we’re all together— or poker— or shall we draw a few pictures?!!!! thanks! Hi Lisa, thanks so much for introducing yourself by following our site. We have really enjoyed exploring yours. This involvement with your community is beautiful and inspiring, and we love your art! If you’re on facebook we also invite you to visit the RAXA Collective page for more of our community engagement. See you there! You have such a gift that you freely share with so many. I feel so blessed to have come upon your blog. We are headed to Columbus next Tuesday to begin Terry’s treatments and I have already decided that sketching is going to be part of my therapy. I am going to see if I can convince Terry as well. Thank you so much for your encouragement Lisa.